Dr. Ioakeim G. Georgoudas was born in Thessaloniki, periphery of Macedonia, Greece, in August 14th, 1975. He received the Dipl. Eng. degree in electrical and computer engineering from the corresponding department of the Aristotle University of Thessaloniki (AUTh), Greece, in 2000 and the M.Sc. degree in Microwaves and Optoelectronics from the Department of Electronic and Electrical Engineering, University College London (UCL), University of London, U.K., in 2001. 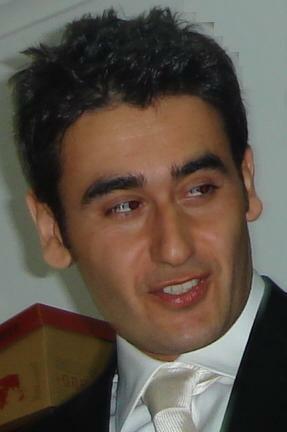 In 2011, he received his Ph.D. degree from the Department of Electrical and Computer Engineering, Democritus University of Thrace (DUTh), Greece. He is a member of the Technical Chamber of Greece (TEE). He is a teacher of Informatics in Greek State Secondary Education. He has participated in many international conferences, he has published his work in international scientific journals and he has served as a reviewer for international journals and conferences. His research interests include large scale complex systems, cellular automata applications and electronic systems.